As a father, I have been blessed to see the world through the eyes of my two sons and three daughters, with my oldest two children now in college and another two about to enter college. As any father to both sons and daughters would tell you, daughters are just…different, especially teenage and college-age daughters. While I always felt I could understand and relate to my sons as they matured, it has been a different journey with my daughters—a wonderful and amazing journey. My daughters push me, soften me, confuse me, inspire me and challenge me to see and appreciate the world through a different lens. I know they have each made me a better father, a better person, and a better leader. Like any father, I want each of my children to have every opportunity to fulfill their dreams, whatever those might be. But as my daughters begin to progress toward fulfilling their own dreams and ambitions, I recognize that their path will be a much more difficult and challenging one than what I have experienced in my career and what my sons will experience on their own journey. 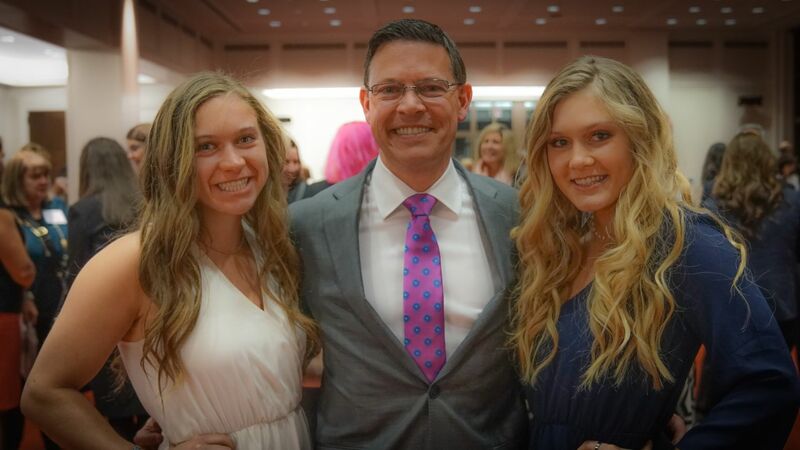 Despite my own efforts to support their goals, the reality is that there will still be significant impediments and obstacles that my daughters will face, simply because they are women. At Egon Zehnder, we are privileged to know what great leaders can do to build great companies and organizations. We also know and believe strongly that diverse and inclusive leaders make the world a better place. My colleagues and I see every day what women add to diversity of thought and perspective, and the immeasurable impact they have on the success of organizations across all different businesses and sectors, in every region of the world. And we are all equally conscious of the huge gender imbalance that persists globally: Research shows that today, in 2016, only 3.7 percent of executive directors worldwide are female and that, according to the World Economic Forum, gender parity will not be achieved in our lifetime, not even by the end of the 21st century. We want to change that, for all of our daughters and for the good of our global community. This month, to coincide with International Women’s Day, we are hosting a global event series called “Leaders & Daughters: Cultivating the Next Generation,” presenting a groundbreaking series of discussions in 40 cities around the world. The series is designed to spark a dialogue around progress, inclusion, overcoming challenges, and reaching higher ground. We want to understand how young women visualize their futures, how they define success for themselves, and how they connect their parents’ experiences to their own. Our aim is to draw attention to and support the possibilities and ambitions of young women across the globe. Brian Reinken is a partner in Egon Zehnder’s Dallas office.